Did you know that heart disease kills ten times more women than breast cancer? Maybe you do, in which case, go you! But a lot of people do not, because breast cancer awareness and advocacy has sucked up a lot of the attention when it comes to health education for women in the United States. This is a problem, because women are at risk of a range of serious conditions, not just cancer, and heart disease is a leading threat to their health. Whatever education and awareness campaigns we’re using are clearly inadequate, and they’re even more inadequate than you think. Breast cancer is obviously a serious issue, but at this point, the vast majority of patients (women aren’t the only people who get breast cancer) are aware of it, as are clinicians (those dealing with cis women, anyway). The problem with breast cancer isn’t one of awareness, but the fact that it kills people, and we still haven’t developed effective prevention and treatment tools. Some patients die even after aggressive treatment and early intervention. Others manage to pull through. We’re still learning about how breast cancer acts on the body, and whether we can identify factors that will improve survival rates. Heart disease, meanwhile, is the silent, unsexy killer. For whatever reason, it hasn’t gotten the traction that breast cancer has, which leaves millions of women unaware that they’re at risk. These women can’t identify the warning signs that would lead them to seek medical treatment, and they don’t know that resources are available to help them with prevention, screening, and care. One in four women dies from heart disease, making it the leading cause of death in women. This isn’t a case of disease Olympics — cancer and heart disease don’t have to duke it out — but it’s clear that we need to be improving education on the subject. There are two issues that are compounding the disparities on access to heart disease prevention, screening, and treatment for women. The first is that many people think of heart disease as something that primarily happens to men, and that includes the medical establishment. Because the focus is on men, many people are familiar with the symptoms of myocardial infarction and other heart problems in men, but they don’t know what to look for in women. Women don’t necessarily experience stereotypical chest pains — they develop shortness of breath, fatigue, minor chest pain that may come and go, nausea, anxiety, stomach or back pain, and cold sweats. But because they’re not looking for heart problems, they don’t realise what’s happening, and if they go to the hospital, they won’t necessarily be accurately diagnosed. The second is a really profound problem: Heart disease is a much more significant problem among women of colour than in white women, but women of colour are much less likely to be aware of the issue, and they’re much more likely to die as a result. Nearly 50 percent of Black women has some form of heart disease, and around one third of Latinas develop heart disease over the course of their lives. Despite the grim statistics surrounding women of colour, the medical system undertreats them, as it does for many other health issues, and they pay a high price for it. Research exploring the racial disparities in heart disease rates suggests that there are a number of factors. One is family history, with a genetic predisposition for high blood pressure and other cardiovascular problems being common in communities of colour. Environmental racism also plays a role, as women of colour are more likely to live in unhealthy communities, which contributes to heart problems — for example, they tend to statistically be less physically active, and one reason why is that many don’t have a safe location to exercise. There are also higher rates of diabetes in many communities of colour, again reflecting complex sociocultural factors, and diabetes can contribute to the development of heart disease when it’s not well managed. Despite the stats on heart disease, it’s not just women who are slow to understand the risks and advocate for help. Clinicians are also sluggish, and tend not to look for warning signs when they evaluate patients, especially women of colour. Tactics like angiograms, which are effective for diagnosing men, don’t work as well on women because heart disease acts differently on their bodies. Clinicians have to develop familiarity with the distinctive signs of heart disease in women so they can provide patients with adequate care. It’s not as though there aren’t awareness campaigns on heart disease. It’s that they aren’t effective. Campaigners might want to study what’s worked for breast cancer education (and what hasn’t) to learn more about how to tailor their outreach more effectively. There’s no reason for this many women to be dying of conditions that are potentially preventable or at least manageable, and the racial disparities in access to preventative care, screening, and treatment are unconscionable. The fight for better breast cancer care was brought about by ferocious patients, who advocated for themselves and others to improve the medical system. Unfortunately, heart disease patients are dying before they’re even aware that they’re ill in an alarming number of cases, which makes it a tad hard to drive a movement. Health advocates working in communities of colour have actually been pushing hard on heart disease with little traction, thanks to their low public profile, and we need to be shoring up their efforts, boosting the signal, and dragging this issue into the limelight, because no woman, of any race, should ever die of a preventable or treatable disease. 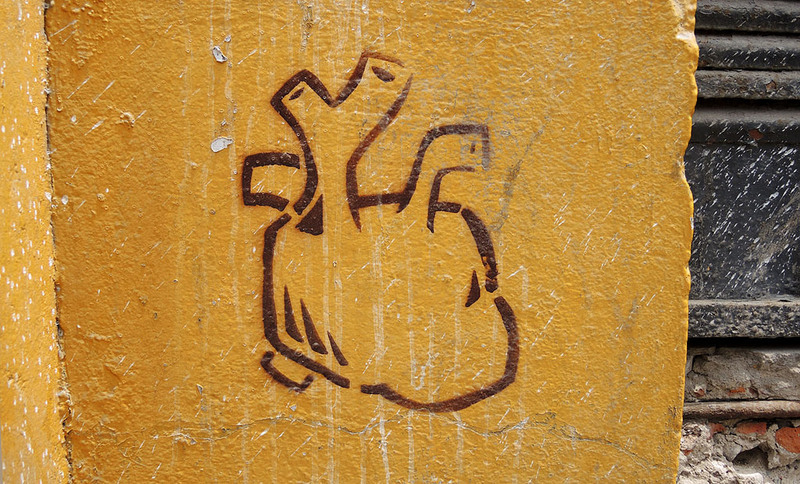 Image: his left his heart on the wall, Mary Crandall, Flickr.